Omeprazole belongs to group of drugs called proton pump inhibitors (PPIs). These reduce the production of acid by blocking the enzyme in the wall of the stomach that produces acid. 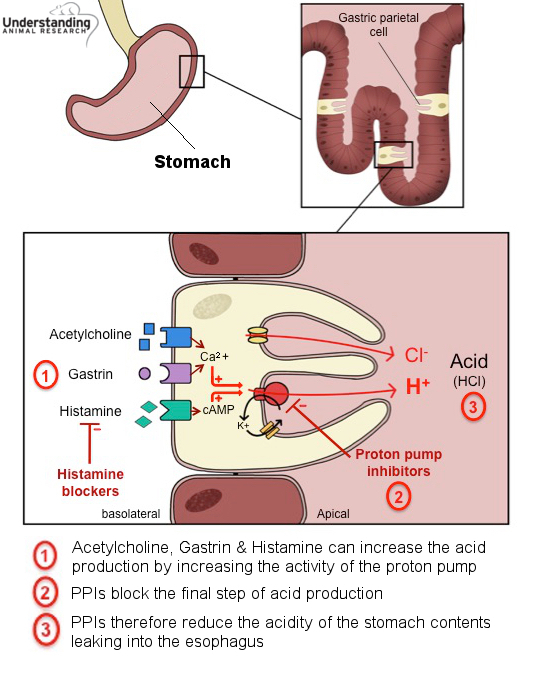 The reduction of acid with PPIs prevents ulcers and allows any ulcers that exist in the oesophagus, stomach, and duodenum to heal. Omeprazole is on the World Health Organization's List of Essential Medicines, the most important medications needed in a basic health system. It is used to treat symptoms of gastroesophageal reflux disease (GERD) and other conditions caused by excess stomach acid. It is also used to promote healing of erosive oesophagitis (damage to your oesophagus caused by stomach acid). Omeprazole may also be given together with antibiotics to treat gastric ulcer caused by infection with helicobacter pylori (H. pylori).